Best Lock & Key has been proudly serving automotive, residential and commercial customers in Southeast Wisconsin since 2008. We offer specialty and expert locksmith services that can meet all of your lock, key and security needs. Best Lock & Key is locally owned and operated as well as licensed and insured. Our technicians have been educated and trained in all areas of our locksmithing field and are available to get you back into your home, office or automobile in no time at all when you get locked out. The locals around the Racine, Kenosha, Burlington and Oak Creek areas of Southeast Wisconsin know that Best Lock & Key can be trusted with their lock and key needs and can be relied upon to come and help anytime 24/7; day or night. Having a reliable company that you can depend on is very important when you are talking about the security of your home or office. You also want to be sure that if you have a new lock installed or a key replaced that you can trust the technician and the company with your privacy and security. Our professional locksmith employees are background checked and drug tested for your safety. We would never hire anyone we wouldn’t feel comfortable in our own home. If you find that you are locked out of your home or you need to change out your locks or a spare key made; you can count on the experts at Best Lock & Key to take care of all your lock and key needs. Our company has the right tools and equipment to do anything from a duplicate key to replacing the locks around your home to getting you access to your structures and belongings. 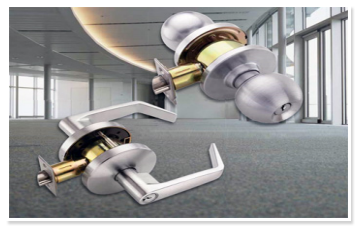 Whether you get locked out of your office or wish to implement or upgrade an access control system, Best Lock & Key are ready and able to meet all of your lock, key and security needs. From high security locks to card readers to panic bars installation, Best Locksmith can handle it! The worst feeling is when you realize that you keys are lost or you have left them locked in your car. Being left stranded is a stressful and time wasting situation and you want to be able to receive help immediately. Best Lock & Key has the expertise to come out and replace the keys as well as get you back in your car and on your way. When you are in need of a fast and reliable locksmith, call Best Lock & Key. We will send one of our experienced mobile locksmith technicians out to you without delay. Many people know they have a need for a safe in their home or business, but are not sure what kind of safe they need in terms of types, shapes, sizes and functions. We invite you to talk to one of our safe specialists at Best Lock & Key. We can help advise you on the best safe for your needs. Best Lock & Key can then supply you with the safe you need or service the existing one you have. We work with safes from all major manufacturers. And if you get locked out or need to change the combination, we can help with that too!